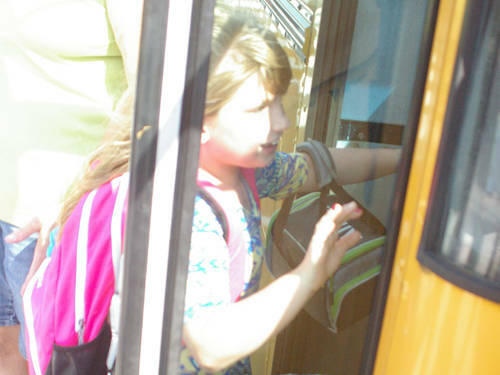 Students get on the bus after the first day of classes for the 2018-19 school year on Monday at Greenville Elementary. GREENVILLE — Nearly 200 incoming freshmen experienced their first day of high school Monday, as Greenville High School opened its doors for the 2018-19 school year. 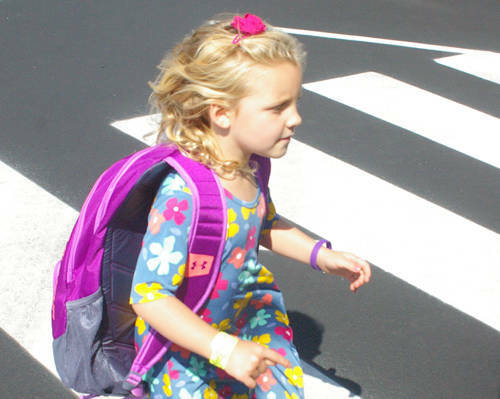 The first days of a new school year are often fraught with logistical difficulties, Hughes said, most of which boil down to the task of getting students to where they’re supposed to be. Another complicating factor is the influx of new freshmen, Hughes said — younger students who are facing a number of big transitions as they move into high school. These mentors — whom Hughes called “core leaders” — are a group of juniors and seniors who each take on one of the 11 freshman homerooms at GHS and mentor those students throughout the year. Many students don’t understand all the changes that are coming their way in high school, according to Hughes, including the fact that their credits and GPA start over again or that they’ll have more diversity and choice in the types of classes they’re allowed to take. They’ll also likely be taking courses with students who are not all their own age. At the end of the day, Hughes said, he and the rest of the GHS staff are enthusiastic about the school year that lies ahead. All students and teachers will have access to iPads for instructional use this year. The Careers with Children Program at Greenville High School CTC will expand this year to include an additional instructor and will expand to a Teaching Professional program in the future. The school district has purchased a number of new social studies textbooks and materials this year. Next year they will purchase new science materials. Greenville Schools will continue to contract with the City of Greenville to provide two school resource officers, police officers who maintain a presence inside the school and interact with students. One will continue to be housed at the high school while the other will be be assigned to the K-8 facility. In addition, the school district has made more than 20 new hires this year, including new staff for the main school district office in Memorial Hall; new math and social studies teachers for the high school; and new guidance counselors and intervention specialists for the middle school, high school and elementary school as well. This entry was tagged Greenville, school. Bookmark the permalink.